This was my contibution to The Luminuarium Exhibit #21. 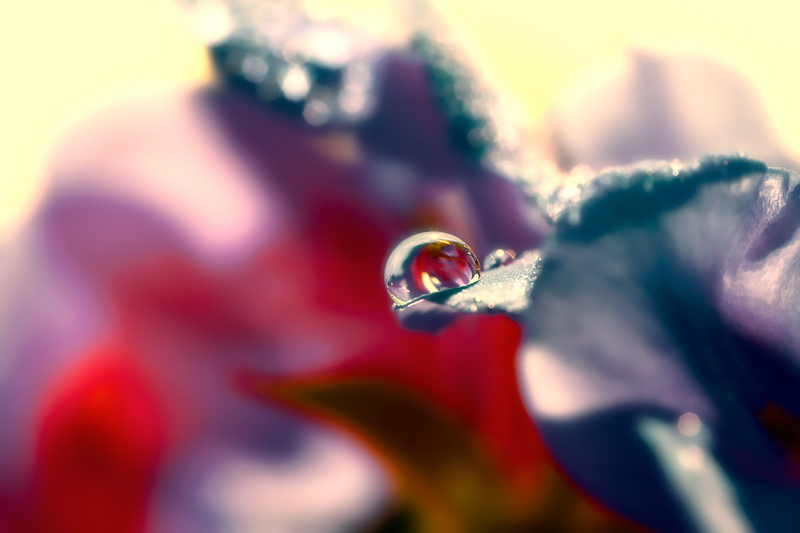 The topic was Elements and I could not resist submitting one of my water droplet photos. This one was taken with HDR techniques and refined via Photoshop. I wanted to have a unusual color composition. I think I got that in nicely. Please check the exhibit here. This entry was posted on Friday, August 2nd, 2013 at 14:12	and is filed under Photography. You can follow any responses to this entry through the RSS 2.0 feed. You can leave a response, or trackback from your own site.